I wrote a post about How to Be Successful Selling Handmade Jewelry about a year ago. That post gave an overview of some tips. 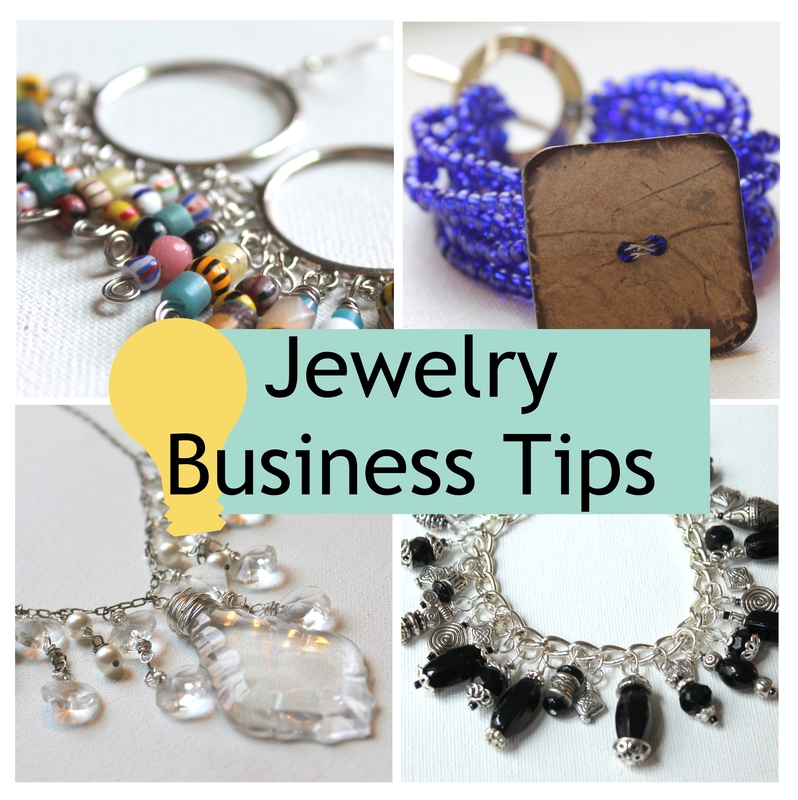 Each Friday I’ll be bringing you a free tip right here on the blog or you can sign up to get a weekly Jewelry Business Tip in your inbox below. Last week was Part 1, which was an overview of multiple streams of income and you can find that post here. This week is Part 2, selling online. Before we even start, let me say that this could be the subject of an entire class or even an entire website. This is just an overview. People come to selling online in different ways. Some people start at craft shows and in person selling then then go to online. As I mentioned last week I actually started online first on eBay and then switching to Etsy when it opened. Etsy can be a place where you can refer your customers and then you have a website to put on your business cards and things like that. You can use social media and have email updates (like my Jewelry Business Tips Newsletter) and refer people to it. Etsy isn’t the only place online to sell your handmade jewelry, though. ArtFire is another place similar to Etsy, but with different options. And there are others. You can have your own website and sell your jewelry there. Even if you don’t have a shop on your website, I think it’s still important to have your own website. The great thing about having your own website is that when your customers come to it, they’re not distracted by anybody else’s products for sale. They are there just to look at your handcrafted jewelry and that’s all they will see. I’ve been blogging for a long time. I blogged about things I knew my customers would like and then also showed photos of my work and work in progress. I would let them know when I had new jewelry and different events and venues where they could purchase it. When you’re selling handcrafted jewelry online (or really anything) photos are very important, maybe the most important thing. If you’ve sold in person you probably know it’s pretty easy to get a sale when people are picking up and trying on your jewelry. Online you have to give them a similar experience through photos. 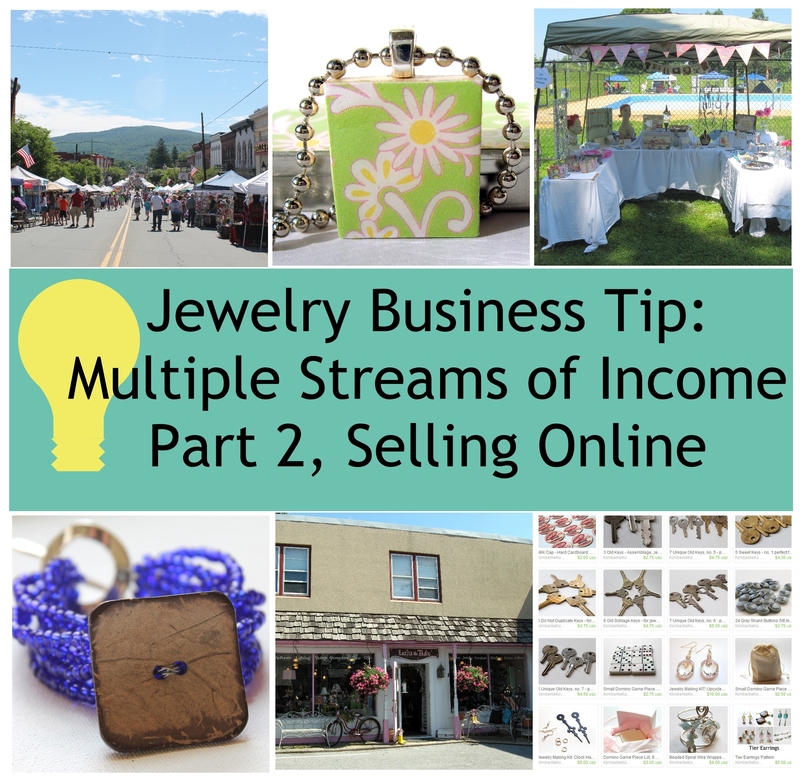 It’s so important that we spend one whole week on it in my Intro to Jewelry Business eCourse. In fact, I will be re-releasing my eBook all about photography for handcrafted jewelry soon! Another very important aspect is your description of your work. Does your customer feel like they are there in person? Have you provided all the important details? Do they know why they should purchase your jewelry pieces? This entry was posted in Business, Jewelry Business and tagged how to sell jewelry, jewelry business tip, multiple streams of income, selling online by Kimberlie. Bookmark the permalink.